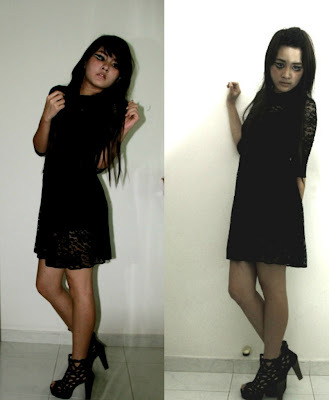 Let's start a fashion riot. : Demon. Experimenting with make again. And right now, my room is in a mess. AS USUAL. Had to compensate for the long break i took and will be taking due to exams. The next post would probably for christmas and hopefully, an outdoor shoot.I'm so tired of confining myself in the tiny room of mine. Going for the Gothic kind of look. 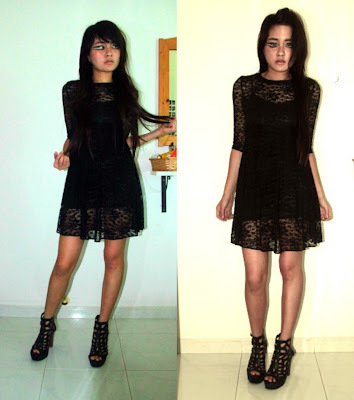 Anw , i'm wearing a topshop lace dress with my JC Lita Inspired heels.